The Uyuni Salt Flats of Bolivia are a mesmerizing, otherworldly landscape, and one of those places you just have to see for yourself. In the past, you could see this unusual expanse of land on a temporary camping trip, but now there’s a more permanent option: Kachi Lodge. Opened this spring, this is not the type of accommodation where you’ll find a decadent spa or white-gloved butlers — but that’s precisely the point. 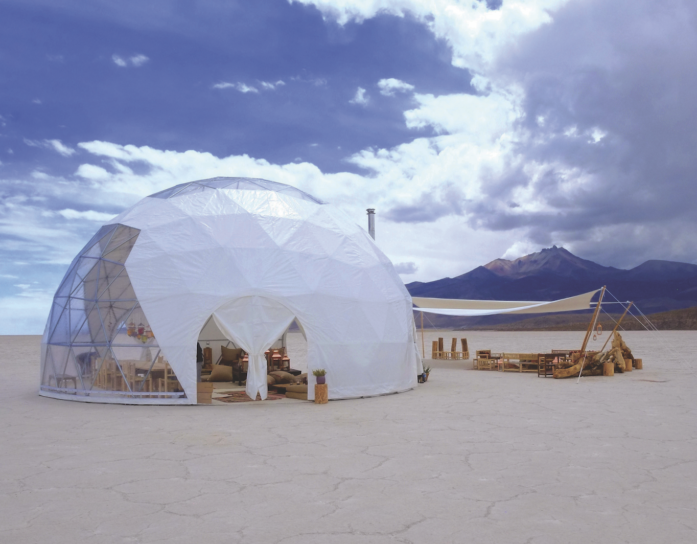 Instead, you’ll have a unique and fully immersive experience in the middle of nowhere; the futuristic dome-shaped structures stand directly on the Uyuni Salt Flats at the foot of the Tunupa Volcano at an altitude of 11,800 ft. There are six domes, each one raised above the flats on connected wooden platforms to protect the ground beneath (and also to protect the camp during wet season). Each has a private bathroom, comfortable double bed and — crucially — heating; nighttime temperatures drop to five degrees Fahrenheit in the dry season. The decor is cozy and rustic with natural timber, neutral tones, fluffy blankets and dangling lanterns. Sections of the geodesic walls are transparent so you can take in the mystical views by day and gaze up at the stars by night. Despite feeling completely isolated, there’s so much to do — rise with the sun and head on a morning hike to a nearby, cactus-covered island and look out over the best views on the Salar, or hike to the lower tip of Tunupa Volcano’s crater. Depending on when you visit, you can see the locals collecting salt from the surface of the Salar, or during wet season, paddleboard through the flooded plains — the startling blue sky is reflected on the flood waters, creating an unusual scene. There are mountain bikes available to explore the area. 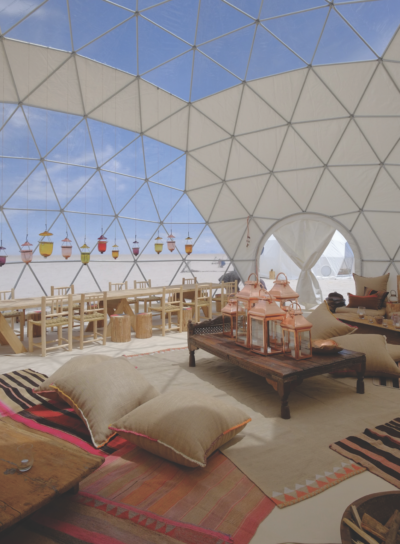 Dinner is served in the larger central dome, known as The Lodge. The long wooden table is designed for languid, communal dinners — watch the sky fill with stars through the transparent ‘wall,’ and grab a telescope to take a closer look. The Bolivian cuisine is provided by La Paz’s award-winning Gustu restaurant’s fine-dining culinary school, which takes advantage of the varying climates and great diversity of produce, meat and fish in creating their authentic, inventive dishes. 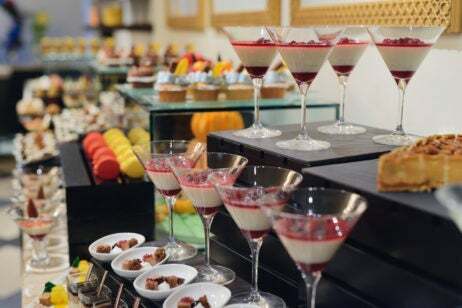 After dinner, retreat to the adjacent lounge area. Strewn with oversize hemp cushions, cozy blankets, Moroccan lanterns and indigenous foliage, it’s a whimsical spot for a nightcap.